GM couldn't keep this hidden forever. A member of the Corvette Forum, username NBVette4U, recently visited his local Chevy dealer in Canada in order to "configure my new Mid Engine Stingray Z51 C8.” That’s right. Apparently, it’s already possible to do this despite the fact that the C8 hasn’t been revealed. Due to some development delays, a debut isn’t expected until later this summer. But this forum member also took the opportunity when placing his order to photograph some computer screen configurator pages for our viewing pleasure. Let's dig in. These images clearly show a C8 order sheet which shows this buyer will get the LT2 V8 paired to a new eight-speed dual-clutch transmission, codenamed M1L. More than likely, the LT2 is an updated version of the 6.2-liter V8 with an output of around 500 hp. Today’s LT1 produces 460 hp. 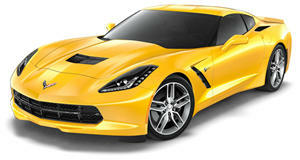 And yes, this is the Stingray base model. As Jalopnik also discovered, customers will have two rear-axle ratios of 3.62 and 3.8. 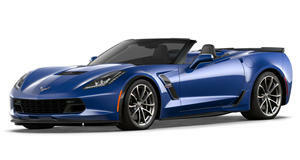 To compare, manual-equipped C7s have a 3.42 ratio while autos have a 2.41 in the Z06 and ZR1 and a 2.73 for the others. And speaking of manuals, based on these leaked images, there doesn’t appear to be a manual option. Buyers will also have a choice between three suspension options, including the current FE1, FE3 with the Z51 Performance Package, and FE4 for the Z51 with Magnetic Ride Control. Two tire options will be offered, with base models measuring at 245/35 up front and 305/30 at the rear. Wheel sizes are 19-inches at the front and 20-inches out back. There’s also a second option, which we’re pretty sure is a typo, saying 10-inch wheels are up front. Two aluminum wheel options are available in five finishes: Pewter, Bright Silver, Carbon Flash, Machined Face with Sterling Silver for the 5-Open Spoke, and a 5-Trident Spoke with a Machined Face with Spectra Gray. The interior features standard AE4 Competition Sport Bucket seats, and optional AH2 Body Contoured Sport Bucket GT2 seats. The latter option, available in leather or suede and several colors, has at least 17 different combos. Only one infotainment option is listed, "Premium SD Nav.” The driver information screen is listed at 12-inches in size with a Digital Audio System. A 14-speaker Bose audio system is also available. The C8’s two braking system choices come straight from the base C7 and Z51 package. 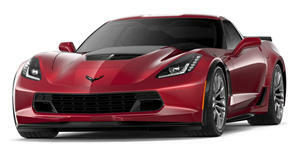 Exterior colors are also similar to the C7’s choices, which include Torch Red and Sebring Orange Tintcoat. A couple of new colors include Rapid Blue and Zeus Bronze. All told, there are 12 exterior paint options and at least four roof color options, including bare carbon fiber and a transparent top. It looks like there will be two separate removable roof panels. 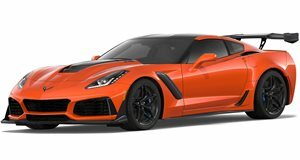 The order sheet also reveals electronic limited-slip differential and the C7’s Performance Data Recorder and Performance Traction Management system. Lastly, the forum member has a, shall we say, unusual taste for colors; he ordered the C8 in Accelerate Yellow with a Morello Red interior. All in all, this leaked info is likely for the C8 Z51 launch model because, aside from the addition of the dual-clutch, there are no dramatic changes from the C7, as far as basic packaging goes. Down the line, there will be more powerful C8 variants, including at least one hybrid powertrain. And that is when things will get far more interesting.